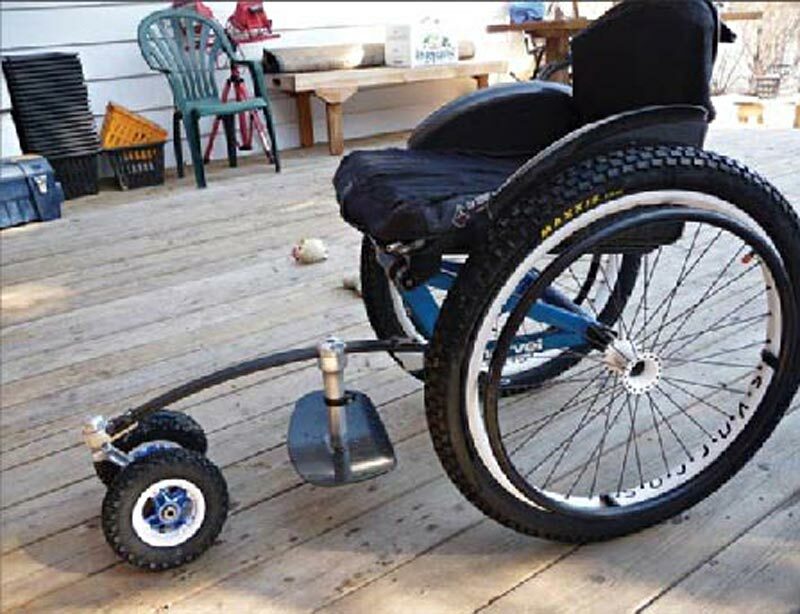 Building a homemade wheelchair is an idea that many people think about, but usually they end up buying a new wheelchair to avoid the pain of building one. Homemade wheelchairs are the type of wheelchair that is built with bike parts and other wheeled technology. Some of the building may require tools and maybe even welding to secure the seat and other components into place. Building a chair may be a great project for a father and their children to do for fun, but I definitely wouldn’t recommend building one for long-term use, and it is not safe for the user because something can break or fall off and cause the user to have an accident. 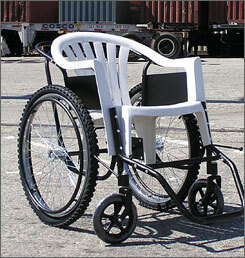 To build a wheelchair at home, there are certain materials you will need. You can buy raw material and bend it into shape if you are savvy with welding and metal bending. If not, then you can try using spare parts from other wheeled devices. A bicycle may be the best idea as far as taking it apart and building a wheelchair out of it. There have been cases where people do the opposite; they make a bicycle out of a wheelchair, crazy I know, who would ride something like that? Usually the materials used to build a homemade wheelchair are aluminum, steel, rubber, plastic and nylon for the upholstery. Some people have used wood to build homemade chairs in the past, although that might not be the best material to use for weight bearing purposes. As I stated earlier on this page, people tend to use bicycles to build homemade chairs, this is because the wheel based device is already built and also because bicycles are built to bear weight. You can use the front of a bicycle to use as the pivot and maneuvering mechanism. Some people use the propelling component of a bicycle to build a hand cycle-wheelchair, which allows the user to spin the arms of the propeller in order to move forward or backward. The feeling with home built wheelchairs is that it is not safe to use a wheelchair built in a garage or without proper crafting. Wheelchair companies spend a large amount of their time designing and building a device that is safe and comfortable to use. Some homemade chairs may seem or look safe enough but there might be something that is loose or not built for weight bearing that could impale the user or harm them. Another issue is that a component used to build the chair can become jarred and injure a person's extremities when propelling the chair.